Clean, simple web design customized to target your audience. Fully responsive web designs that look great on any device. 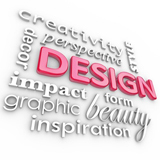 Send a message to your audience with a unique logo design that defines your business or organization. Present a professional image of your business with visually appealing marketing essentials such as brochures, flyers, letterheads and business cards. 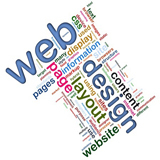 Charlotte’s Web Design Studio designs websites for small businesses, churches, organizations and individuals. Whether you need a new website because you’re starting a new business or you need to update your current website, contact me and get started with a free consultation! Carol has developed and enhanced our website for over 3 years. Her quick response to our request and her suggestions are invaluable. I recommend Carol for your website and mainteinence. Great designer!!! This amazing lady has designed business cards for me, and created a wedding website for my husband and I to share our wedding pictures/videos with our family. She is both skilled and excellent to work with!!! Carol is one of the most conscientious people I know, in both the “scruple” and the “meticulous” meanings of the word. Her work, being it photography, piano playing, or design, is excellent. She is a very creative and talented person who truly cares about people. Charlotte’s Web Design Studio designed our wedding website, alexanna.net. Carol Davis does awesome work and is amazing to work with! Carol is a can do, leave it to me person. It’s very easy to refer her to people knowing she cares about every customer and if there are problems she finds solutions. She is the best! Carol is an amazing woman who does whatever it takes to get the job done right. Carol remains calm in even the most hectic situations, and has the ability to help the people around her before they even know they need help. Carol is awesome to work with! She knows WordPress. If there is something she does not know, she will research it until she figures it out. Carol takes continuing education on WordPress seriously. She keeps up! If you are looking to work with someone on a WordPress site, Carol is the person! Carol designed a website for us at Shelby Assembly of God. Not only is she a gifted designer but she made sure that our website contained all the elements that we wanted and made suggestions of what might benefit us. She listened to our ideas and needs and delivered an excellent product. I highly recommend Carol as a Web Designer.